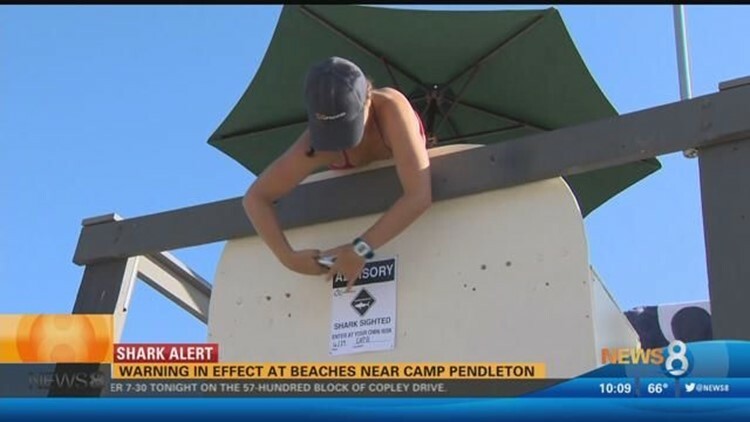 A shark sighting prompted a public warning Friday for visitors to San Onofre-area beaches. SAN ONOFRE (CNS) - A shark sighting prompted a public warning Friday for visitors to San Onofre-area beaches. Surfers reported seeing an 8- to 10-foot shark in a surf break known as Old Man's, according to officials at Camp Pendleton, whose property includes a stretch of ocean shoreline in the vicinity. The alert will last for 24 hours, until late Saturday afternoon, authorities advised. On April 29, a shark attack in the same general area left a woman severely injured.